Warner Bros. brought the house down in Hall H with the official announcement of the Green Lantern Corps movie. The DC Comics portion of their panel began with a rapid sequence of graphics detailing their upcoming films, including a graphic that confirmed a movie based on the intergalactic peace keeping force is indeed in the works. Warner Bros. initially intended the film for a 2020 release date as a part of an ambitious slate, but with all of the behind-the-scenes changes and turmoil various productions have experienced that could change. 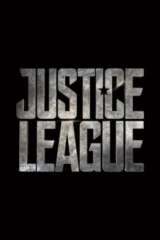 Rumors point toward a Green Lantern tease in the upcoming Justice League movie set to hit theaters November 17. The latest Justice League trailer that debuted at San Diego Comic-Con might have contained a couple of sneaky references to the Green Lantern, but we won't find out until the movie releases later this year. Justice League currently has a 4.18 out of 5 ComicBook.com User Anticipation rating making it the second most anticipated upcoming comic book movie among ComicBook.com readers. Let us know how excited you are for Justice League by giving the movie your own personal ComicBook.com User Anticipation Rating below. Justice League opens in theaters on November 17, 2017. In Justice League, fueled by his restored faith in humanity and inspired by Superman's (Henry Cavill) selfless act, Bruce Wayne (Ben Affleck) enlists newfound ally Diana Prince to face an even greater threat. Together, Batman and Wonder Woman work quickly to recruit a team to stand against this newly awakened enemy. Despite the formation of an unprecedented league of heroes -- Batman, Wonder Woman, Aquaman, Cyborg and the Flash -- it may be too late to save the planet from an assault of catastrophic proportions. MORE JUSTICE LEAGUE: Jason Momoa Teases DC Films Comic Con Presentation / The Batman Script Might Have A New Co-Writer / Warner Bros. Reportedly Developing A Harley Quinn v Joker Spin-Off / Could A Final Crisis Movie Be Ben Affleck's Batman Exit?